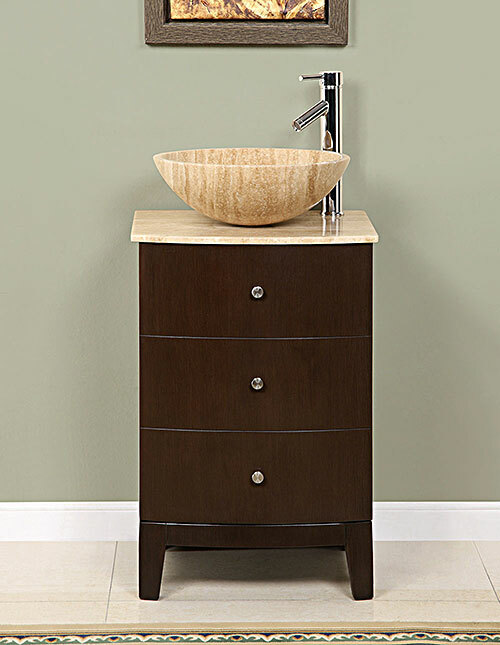 Attractive, petite, and highly sophisticated, the 20" Vesuvius Vessel Sink Vanity makes a beautiful statement in any bathroom. 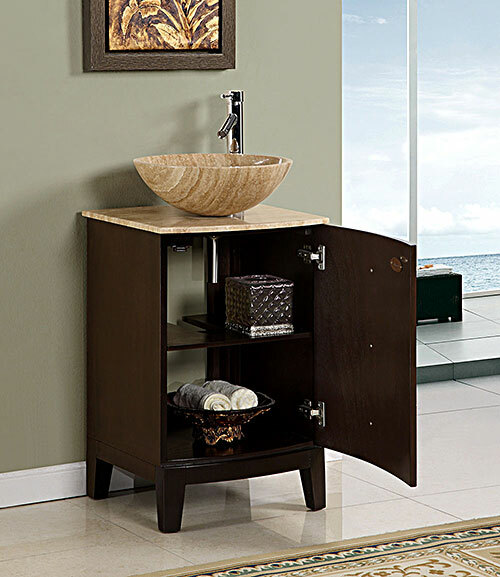 Featuring an American Walnut finished cabinet, this vanity offers a single-door cabinet that has a door front that resembles three drawers. It is accented with beautiful Brushed Nickel knobs and is equipped with soft-closing hinges for a durable vanity that will last years. The top is made from Roman Vein-Cut Travertine and can be matched with a Travertine vessel sink or a different vessel sink of your choice! Faucets sold separately.